The Johnstown Tomahawks have only four games remaining in their inaugural season in the NAHL, and this weekend they'll play two against rival Kalamazoo Jr K-Wings. This will be the last time ever that Johnstown and Kalamazoo will faceoff against each other in a regular season game, as Kalamazoo announced earlier this year that they will cease operations at the end of the season. 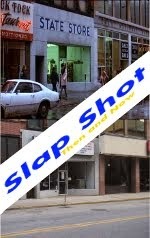 You can read our article about it, here. Before we get to the preview, we want to share two quick links. 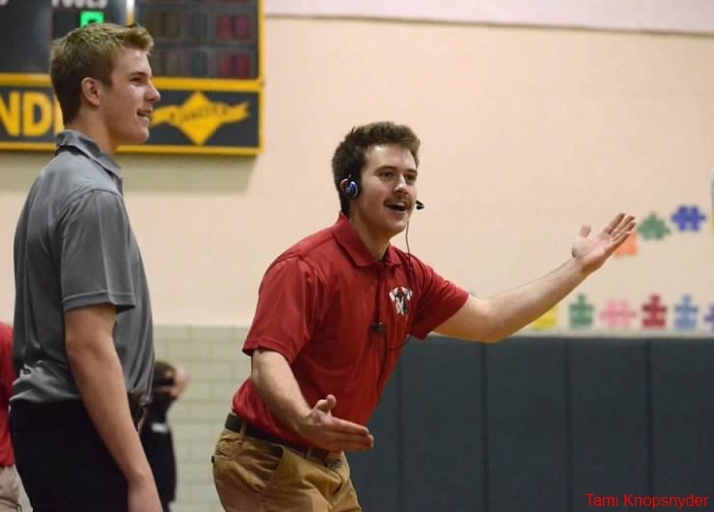 Mitch Hall took on coaching duties for the night, trying his best to lead the 'Hawks to victory. Tami Knopsnyder, who allows us to use all her gameday pictures, took a ton of great shots during the Spike Autism Volleyball game on Tuesday night. Check them out here. 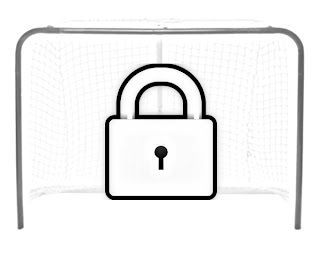 The NAHL released a great video about playing in the NAHL. It features game footage of Jamestown Ironmen and the Michigan Warriors, but around the six minute mark you get to see some of the Tomahawks. Video is below but you can also watch it at the link, here. 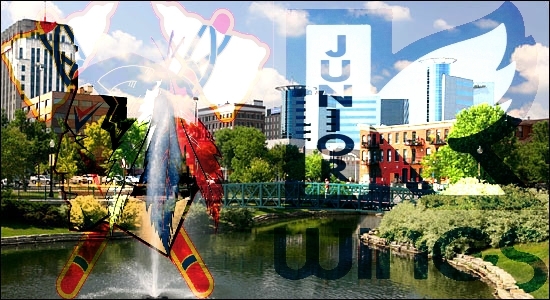 This weekend your Johnstown Tomahawks (24-20-12) take on the Kalamazoo Jr. K-Wings (34-17-5). Kalamazoo currently sits in 3rd place with 73 points, while Johnstown is in fourth with 60 points. Johnstown needs one point to make the playoffs, or a Springfield Jr. Blues loss. So far this season Johnstown has an impressive record vs the Jr. K-Wings, 4-0-2. 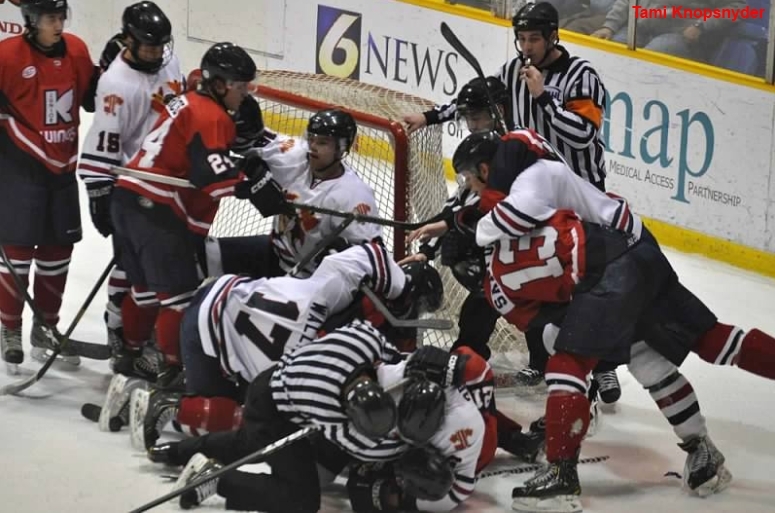 The games have been very physical and with Johnstown trying to make the playoffs and Kalamazoo only one point away from a second place tie with Jamestown, this weekend shouldn't be any different. Bodhi Engum was in net for Johnstown making 17 saves on 21 shots before being pulled in favor of Colin Brennan. Johnstown was able to tie the game in the third on three straight goals, but then fell in overtime, when Robbie Payne scored just :33 into the overtime period, unassisted. Brennan made 6 of 7 saves, receiving the loss. In net for Kalamazoo was Stockhom Sweden native, Marcus Due-Boje, making 35 saves on 39 shots. Johnstown Scorers: Brandon Reinholz (had two goals in the game), Cody Gylling, and Mike Sandor. Kalamazoo Scorers: Robbie Payne (had two goals including the game winner), Kyle Gattelaro, Luc Boby, Nolan Culver. Johnstown was down 1-0 in the first until they got two quick goals to end the period. After that they didn't trail again. In net that night for Johnstown was Chris Truehl making 41 saves on 43 shots. In net for Kalamazoo was Alex Okicki, stopping 29 out of 35 shots. Kalamazoo Scorers: Taylor Burden and Nick Kovalchik. Colin Brennan played the first two periods until he got injured, Truehl took over in the cage. Truehl didn't have to make many saves but the ones he did were much needed, giving Brennan the win. In net for Kalamazoo was Marcus Due-Boje. Johnstown Scorers: Jaycob McCombs, Connor Wright, Brandon Reinholz, and Casey Nelson. Kalamazoo Scorers: Robbie Payne and possible NHL draft pick Brett Beauvais. Chris Truehl was once again in net for Johnstown making 21 saves on 22 shots. In net for the Jr. K-Wings was Alex Okicki, making 17 saves on 21 shots. Johnstown Scorers: Jake Fairchild, Andrew McDonald, Mitch Kontny, and Zach Wallace. Kalamazoo Scorers: Danny Hamburg (the assists went to Robbie Payne and Brett Beauvais). Chris Truehl was in net for Johnstown and Alex Okicki was in net for Kalamazoo. 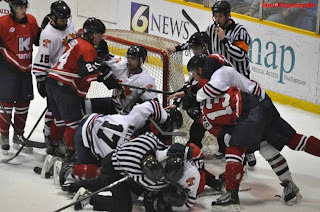 In the second period a scrum broke out in front of Johnstown's net, after Truehl was ran into. 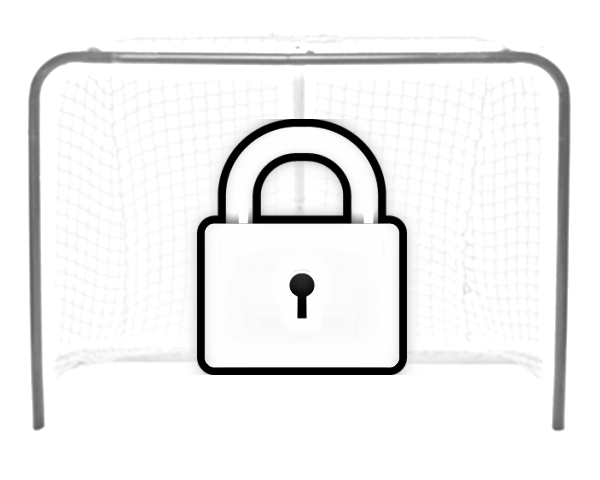 Truehl challenged Okicki to fight, but Okicki chose to stay in his net. Kalamazoo Scorers: Taylor Burden (one of the two assists went to Robbie Payne). Marcus Due-Boje stopped 41 of 43 shots, and all three shots in the shootout. Colin Brennan stopped 27 of 29 shots but could only stop one out of four shots in the shootout. Johnstown Scorers: Mitch Kontny (scored both goals in regulation). Kalamazoo Scorers: Taylor Burden, and Kyle Gattelaro. In the shootout Burden, Gattelaro, and Payne all had goals. Both games this weekend will have a puck drop of 2pm. Johnstown comes into the game with the 3rd best power play in the league (18.6%). This year vs Kalamazoo, Johnstown's power play is 9 for 37 (24%). 1. Shut down Payne: Robbie Payne leads his team in scoring this season. He also leads the Jr. K-Wings in scoring against the Tomahawks. If Johnstown can contain this good player, it'll weaken the chances of the K-Wings beating Johnstown this weekend. If Kalamazoo does beat Johnstown once or twice this weekend, make sure you look at the boxscore, as I'm sure Payne's name will be all over it. 2. Throw everything at Due-Boje: Marcus Due Boje comes into the weekend with an overall record of 13-5-2. Seeing him play in person a couple of times, I've noticed he's the type of goalie that is very hard to beat head on. There have been games this season where the Tomahawks have had trouble getting pucks past Due-Boje, until they started throwing everything, from every angle at him. The Tomahawks have scored at least five bad angle goals on this goaltender. If the 'Hawks aren't picky with their shots and just put everything they possibly can on net, they'll improve their chances beat Due-Boje. 3. Battle: The Tomahawks need to do everything they can to pick up all four points this weekend. Johnstonw sits in fourth place, with Port Huron only two points behind. Fourth place is going to be key for Johnstown, if they can keep fourth place, it would give them home ice in the "play in" round. After this weekend Johnstown has two more games, both at Jamestown on March 29th and 30th. I hope to be able to make it to the game on the 30th. Anybody else headed to Jamestown? We'll have our game recap after Saturday night's game.